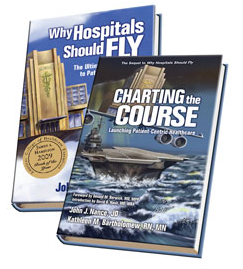 A pilot in Vietnam and Desert Storm, John Nance has been working to share the wisdom and results of culture change experienced by the aviation industry with those of us in healthcare for 22 years. 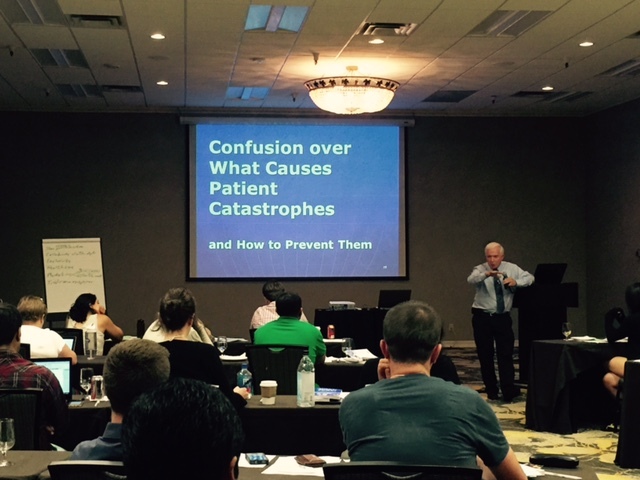 His book, Why Hospitals Should Fly, was pre-reading for our Telluride Patient Safety Summer Camp students, residents and faculty this year because it tells the story of a fictitious hospital, St. Michael’s, that has made the cultural transformation necessary to truly put the patient at the focal point of care. Cultural change is so profoundly difficult if you think one inoculation is enough you are doomed to fail…the journey is not complete until there is no one left who remembers what it used to be like. Not everyone can make this journey—you have to look for skills that nurture human nature of people on the frontlines. Too often we make excuses for colleagues and say “they’re very good at what they do” but the human connections just aren’t there. And to invite patients and families into shared decisions about their care. Many who have started this journey understand it takes courage and fortitude. For students and residents who have been bullied because they were honest in admitting they didn’t know something and called their attending for help, for nurses and support staff who have watched in silent horror as those “leading” acted in an unprofessional and disrespectful manner–it’s time to raise the volume of our collective voice, drown out the last of the naysayers and the “narcissists” who have taken healthcare down a self-serving and dangerous path, and help lead the change John Nance is urging us toward.